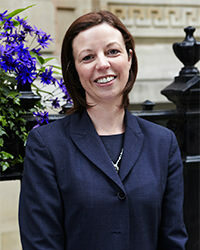 Coralie Foster is a Director of Integer Advisory. Coralie trained as an auditor with the Audit Commission (1992 to 2000) before moving into consultancy. She was a Partner at accountancy firms Robson Rhodes, Grant Thornton and PKF before becoming one of the founding Directors of Integer Advisory in 2013. Her consultancy experience has covered a large number of housing and care PFIs and PPPs, and more recently due diligence and lead advisory on registered provider mergers, governance reviews and stress testing and preparation for IDAs. She has also been advising on complex arrangements including joint venture partners such as the NHS, completing options appraisals, business cases, economic modelling and procurement, as well as rescuing projects in distress.